In the new adaptation of the classic movie, A Star Is Born, Bradley Cooper plays the role of rockstar, Jackson Maine, a character who deals with a health issue that is not often portrayed in the media – Tinnitus. Throughout the film, Jackson Maine appears to be visibly frustrated his sharp, high-frequency ringing. The piercing sound of his tinnitus is heard throughout the film, so that the audience can experience what tinnitus is like. A Star is Born does a good job portraying how irritating, and sometimes debilitating, ringing in the ears can become. Tinnitus is the perception of sound without an external stimulus, and can be perceived as ringing, buzzing, hissing, or other disruptive sounds. Each person’s tinnitus sound is unique, and the sound can sometimes change in pitch and volume throughout the day. According to a study by the National Institute of Health (NIH) in 2018, approximately 10% of American adults suffer from tinnitus. Many people can tune out or ignore their symptoms during the day when there is background noise, however, in a quiet environment, or when trying to sleep, the sound can become very obtrusive. There are several possible causes of tinnitus, including loud noise exposure, hearing loss, ear infections, growths on the acoustic nerve, growths in the middle ear and high blood pressure. Noise-induced hearing loss is often caused by repeated exposure to excessively loud sounds, damaging the delicate sensory cells in the inner ear. In the movie, it is recommended Jackson Maine wear in-ear acoustic monitors to protect his hearing from further damage. However, he does not heed these recommendations and continues to perform without hearing protection, exposing him numerous times to dangerous levels of noise. Subsequently, that repeated noise exposure causes his tinnitus to worsen over time. In addition to noise exposure, factors such as stress, lack of sleep, caffeine use and substance abuse can make symptoms worse. Jackson Maine also struggles with alcoholism, drug abuse and depression, which likely further exacerbated his existing tinnitus. For most individuals, there is no “cure” for tinnitus; however, there are a variety of treatment options which can greatly reduce the severity of symptoms. One of the most successful treatment options for those with both hearing loss and tinnitus is the use of hearing aids. Hearing aids amplify certain frequencies that you are missing and help mask the tinnitus sound. A Star is Born even touches on this subject when Jackson Maine’s rehab therapist reveals that he also suffers from tinnitus and wears very discreet hearing aids. If you are experiencing tinnitus, you should request a referral for a comprehensive audiological evaluation and/or tinnitus evaluation from your primary care physician. An audiological evaluation can also help rule out any underlying medical conditions which may be causing the tinnitus. 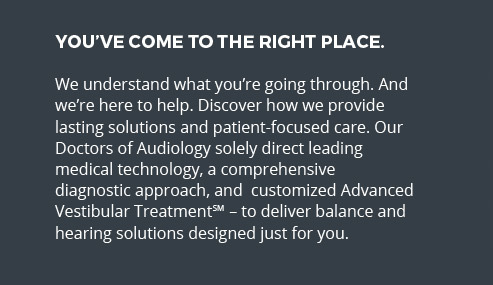 At Newport-Mesa Balance & Ear Institute, we provide a thorough Tinnitus Evaluation, which includes a comprehensive case history and tinnitus severity questionnaires, ultra-high frequency hearing test, tinnitus pitch matching and tinnitus loudness matching. Depending on the severity of tinnitus and other symptoms, treatment options and coping strategies will be recommended. We also offer unique individual workshops to help increase self-efficacy regarding tinnitus. When it comes to tinnitus, it is important to know that there are many options for you, and you don’t have to “just live with it.” Contact our Patient Services Team to schedule a consultation – (949) 274-8399. Many of our Veterans Have Hearing Loss. Are You One of Them?